Her name is Caroline Venturini, she´s 21 years old, 1.70 m-tall and a native of Tramandaí, state of Rio Grande do Sul. 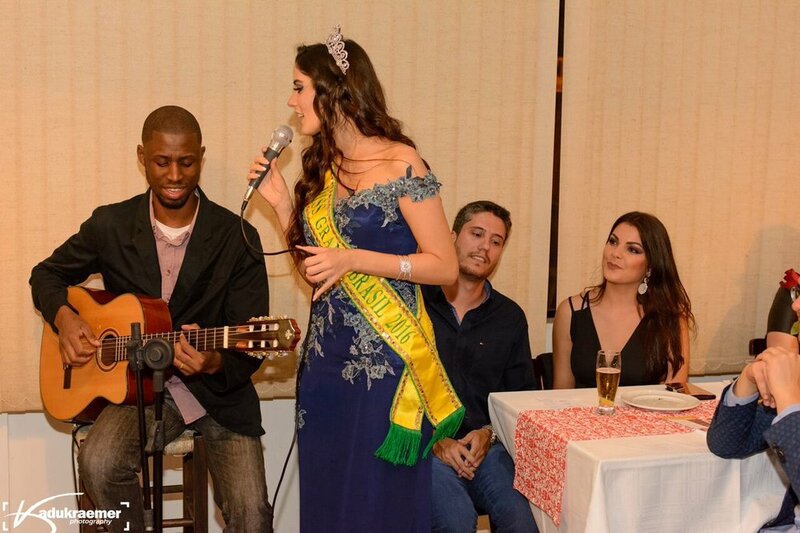 It was in her own town, at the cozy Azeroth Bistrô, that the lovely brunette got her Miss Grand Brazil 2017 crown and sash from the hands of Renata Sena, the Brazilian queen from 2016. Renata, who is also a singer, sang in a tribute to the new queen. Mister Brazil CNB Carlos Franco hosted the event attended by local authorities, beauty queens and kings, and pageant personalities. Caroline will compete in Miss Grand International 2017, on October 25th, in Vietnam. Mister Global 2017 comes from Brazil!